I say my daughter is happy at Bright Child and always wants to come and play with her friends. She misses school on vacations and talks highly of her teachers. It’s a nurturing environment where children are treated with respect and given room to grow. Our daughter comes home happy from her day and tired from all the play. The new gym is fantastic! Great teachers, supportive stuff, very nice facility, the new gym is fantastic! We switched to another daycare and almost immediately regretted our decision. The staff and the quality of care simply did not compare to BCLC. We are happy to return. We know that our son is happy, appreciated, and well cared for each day. Fostering education, exploration & creativity. We have had a phenomenal experience with BCLC. my kids are in love with everything about it…the teachers, the independent learning and variety of opportunities for learning, and the other kids and I am, too! I can’t imagine having a better, more caring environment than at BCLC. Seamless transition from home to here. Comes home happy and tired. BCLC provides opportunities for independent growth, tailoring instruction to help children achieve their milestones and foster new skills. Our daughter has flourished as they have supported her love of reading. She comes home happy and tired from a full day of work and play with her friends. 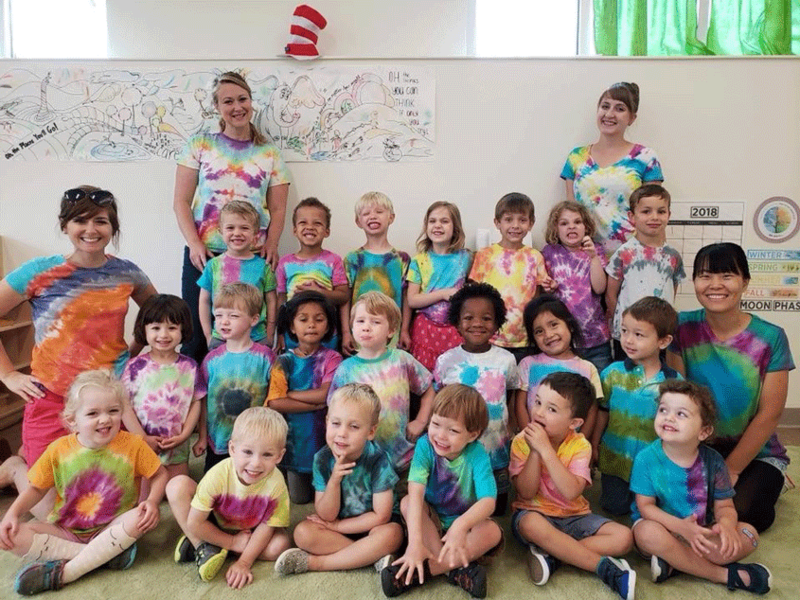 For us, Bright Child has been “the complete package” wonderful, thoughtful and generous teachers, a beautiful building with room for the kids to explore and grow and constant attention to what our kids need at every stage while looking ahead to what’s next. We feel so fortunate to have found Bright Child! BCLC is mindful about choices and really focuses on child development and independence. 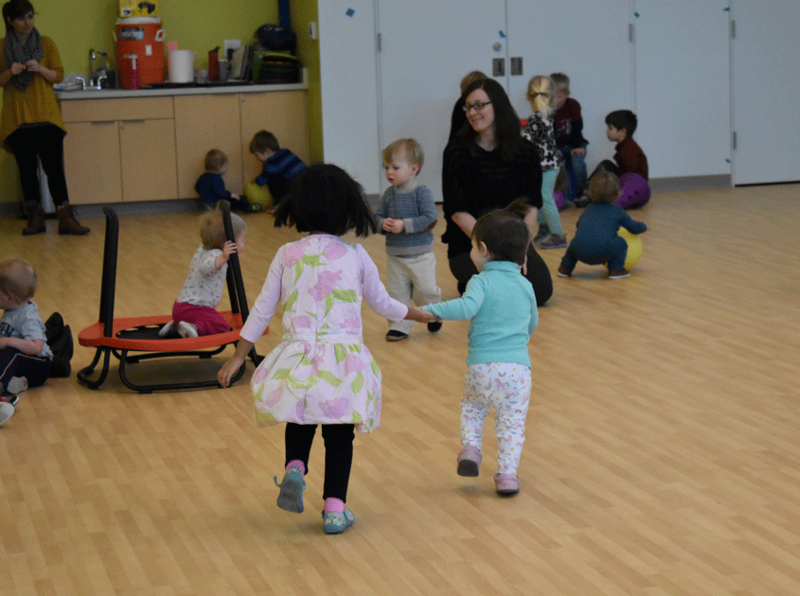 We toured several daycare options, and BCLC immediately stood out because the atmosphere was calm and comforting. So many daycares are perfectly competent but feel like constant chaos–which isn’t too surprising, with a bunch of young children running around. The fact that BCLC manages to avoid this is very impressive and speaks volume about their dedication to the child’s positive experience. 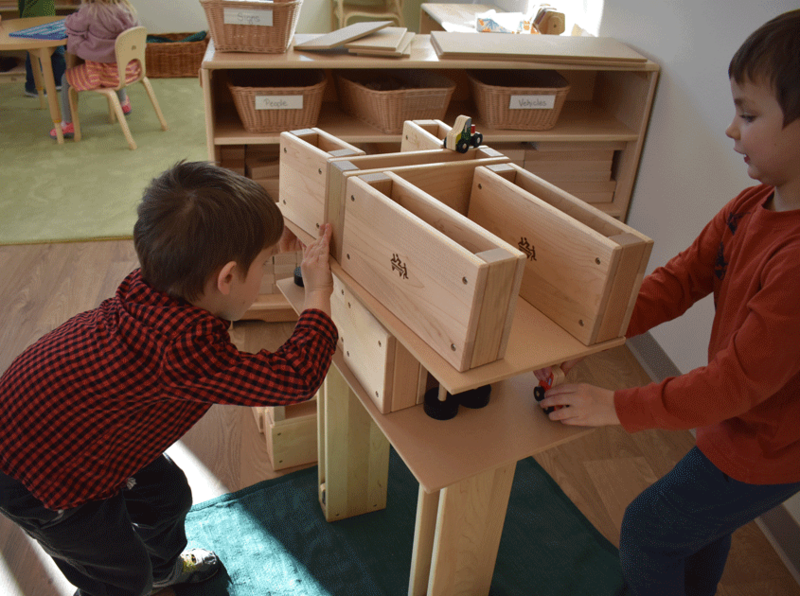 Our curriculum is based on the Montessori philosophy to encourage independence, respect, and self-reliance. 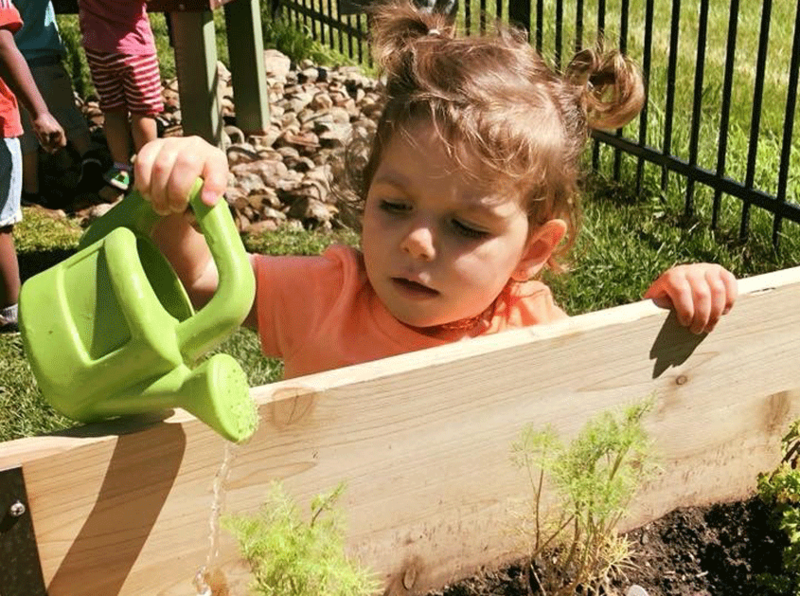 Our child-centered Madison preschool environment is carefully designed to suit the ages of our students. The first step is to schedule a school tour. If there’s a fit and availability, we’d then ask you to fill out an application. Enrolling new students now. Schedule a tour! 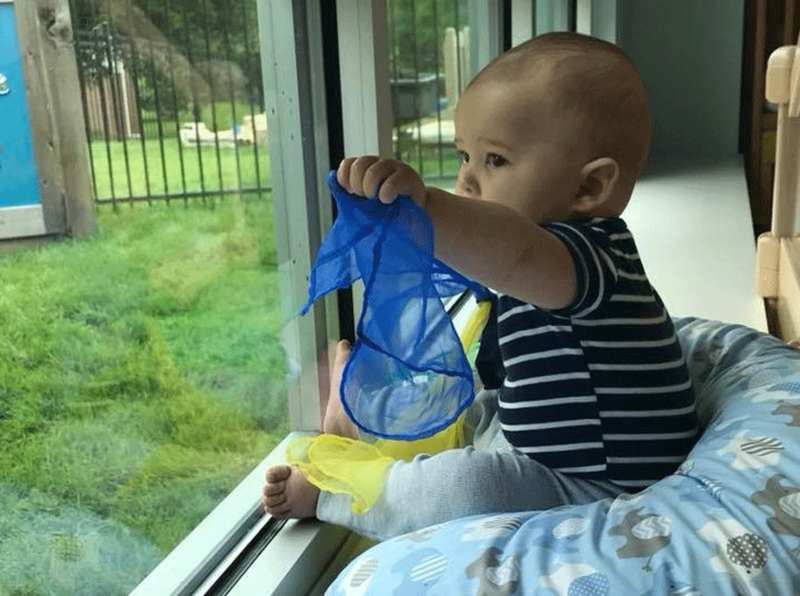 Infants from 6 weeks to 18 months receive appropriate stimulation and space to explore. Learn more about our Infant Daycare. Toddlers from 15 months to 3 years learn independence and respect for others. Learn more about our Toddler Childcare. 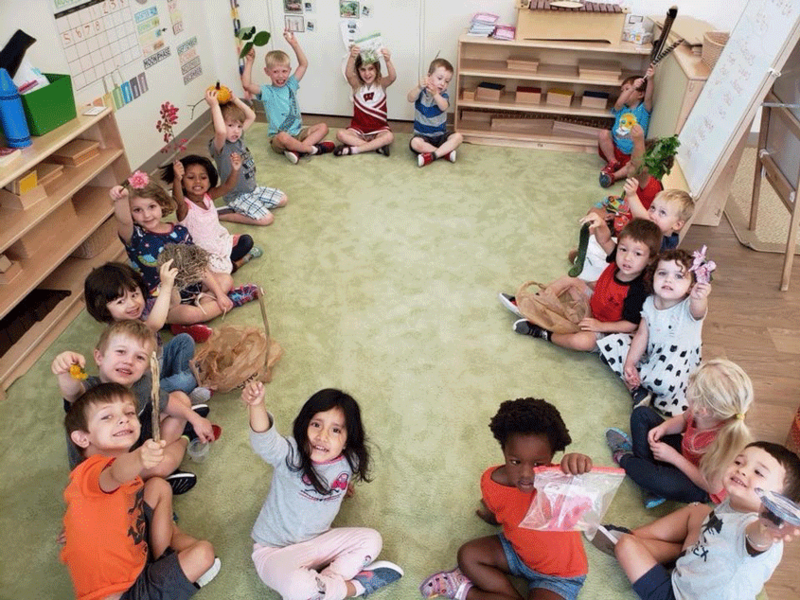 Our Montessori early education curriculum includes math, reading, foreign language and science, and prepares students for a lifetime love of learning. Look into our early education program. Why choose Bright Child Learning Center? This child-centered educational approach has been used for over 100 years. Your child will pursue their interests – from science to music. Right off of PD/McKee Road and Maple Valley Drive in Madison, near Fitchburg. The front office can see all classrooms at all times. We accept children from 6 weeks to 6 years of age. We are open daily from 6:45 a.m. to 5:45 p.m.